Has the Amazon Echo been a runaway hit? That’s tough to say, depending on your definition of a hit, but I think it certainly shows that Amazon had some vision when it introduced the home assistant speaker two years ago. Amazon knew that the “smart home” was on the way and that all of its parts would need a simple hub to control it. They clearly delivered on that, which has prompted other companies to copy their lead. 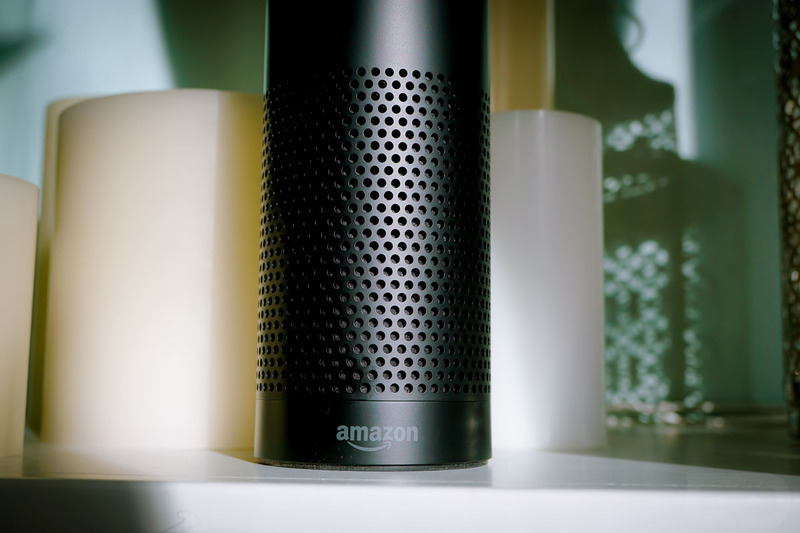 Now, Amazon is taking the next step to further their lead, according to a report out of Bloomberg, who claims that the next version of Amazon’s Echo may include a touch screen. If this report holds up, we could see a new higher-end Amazon Echo device with a 7-inch touch screen that tilts upwards to make it easier to use while sitting on a counter. The touch screen would be used for showing weather forecasts, news, your calendar, etc. That, of course, means the cylindrical style of the original Echo line may be on the way out this time around. The speakers inside the device will see an upgrade as well, while the tablet or touch screen portion of the device will run Amazon’s Fire OS that is seen on its tablets. As you can imagine, this product will likely cost more than the Echo, Tap, and Dot. According to this report, we could see this new Amazon Echo product as Q1 2017. Interested or are you now ready for Google to run your home?